Wellington, March 19: New Zealand Prime Minister Jacinda Ardern, speaking in the New Zealand parliament on Tuesday about the horrific terror attack on two Christchurch mosques that took place on Friday, March 15, said that "notoriety" is what the shooter wanted to gain from his crime and "that is why you will never hear me mention his name." 50 people were killed and several injured in the broad daylight shooting, which was also live streamed on Facebook. New Zealand Mosque Shooting Was Live Streamed on Facebook by Shooter, Graphic Video Goes Viral. Ardern also added that the shooter would face "the full force of the law" and vowed never to utter his name. Christchurch Mosque Shooting: New Zealand Police Returns Bodies of 6 Victims to Kin, Delay Angers Families of Deceased. New Zealand Herald quoted Ardern as saying to reporters that, "I agree that is absolutely something that we need to acknowledge and do what we can to prevent the notoriety that this individual seeks. This could involve a conversation with the media." 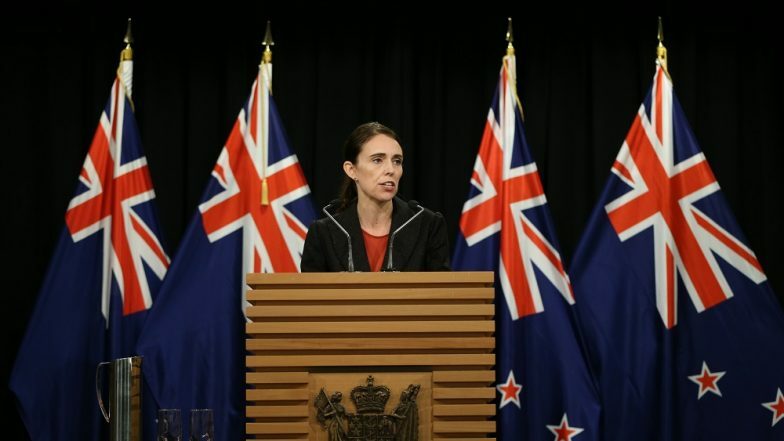 Asserting that the suspect was planning to "lift his own profile", the New Zealand premier remarked: "That's something that we can absolutely deny him. You won't hear me speak his name." Ardern reiterated that the country's gun laws will undergo changes as the Cabinet ministers had in-principle agreed to the reforms.